Today I am grateful for the opportunity to “play in the dirt” and be a child again. Who would have thought that I’d transform from “perfectly groomed” to “I don’t give a …”? Had you told me ten years ago I would get such satisfaction from getting dirt under my nails, mud streaked across my face and standing in doggie-do, I would have laughed at you and said “Not me, never!”. But gardening has re-introduced me to my inner-child – the child that loved playing outdoors and getting dirty. It’s fun, its therapeutic and immensely rewarding when it produces a garden to delight in. 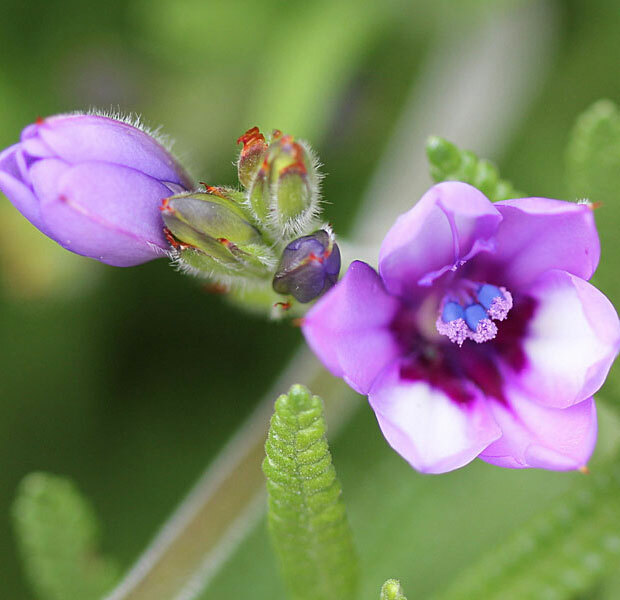 Photo: Babiana, or “baboon flower”, another gorgeous South African native that I tried for the first time this year. This one really surprised me – none of the photographs quite prepared me for the beauty of the actual bloom. I would describe it as an “unassuming plant” – the leaves are quite ordinary, nothing special but when it flowers … well it knocked my socks off! The little blooms seen through the lens of a camera were something special to behold! 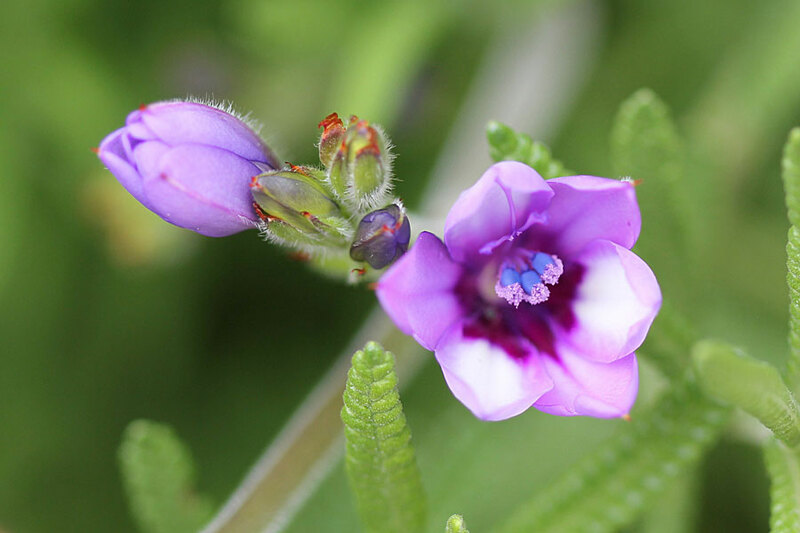 Babiana stricta or baboon flower comes from the Western Cape, South Africa, and is among the best-known species of Babiana, the one used most often as an ornamental plant. It is included in the Iridaceae family, Crocoideae subfamily. There are many hybrids and forms with different colored flowers, usually blue or pink with white additions. In mid to late spring, each flowering stem produces six or more blooms, each to 2 inches across. They are collected in an inflorescence and have a pleasant scent similar to lemon. I rather like those leaves, a fan of pleats! really? I thought they were cute, but it was the flowers that really blew me away. when the leaves popped up I wasn’t hopeful … And then the surprise. Macro shots of what seem to be ordinary little flowers always blow me away too! There is so much intricacy and beauty to be seen close up. The inner-child definitely comes out in the garden…thank goodness, never good to take oneself too seriously! my thought exactly Cat! good to be a child and to play .. I love the baboon flower and the 30 day challenge – I admire your stamina! Hehe, I’m wondering what I got myself into right now. That is a stunning flower…I have been playing in the dirt for 50+ years. I love the dirty nails and the mud on my face and clothes…so glad you have found that inner-child…we must nurture her…she will be your saving grace. Replace doggie-doo with “deer droppings” and that’s me too! Years ago I’d never have guessed that I’d live for the days in the dirt! Love that flower, and the leaves actually look quite interesting too — if that’s actually one of them in that photo. Is the pollen actually purple? Wow. Hi Alan, yes the pollen is exactly as you see it in the photo – I didn’t do any colour enhancing/changing or correcting on this shot at all – I took literally hundreds of pics of the flowers and they all show the same gorgeous colours. It really is quite something. The leaves in the shot are not from the Babiana plant though … I have them sort of growing through the lavender so the camera caught the lavender leaves. Next year I’ll have to plant it in a different way so I can show the entire plant. The plant itself is not exciting to me, but the flowers are just extraordinary.